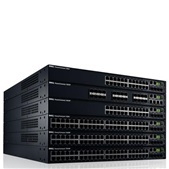 Powerful, affordable network engines emphasizing scalability and reliability. A wide range of solutions offering reliable back-up, protection and consolidation. Building small to large clusters using low-latency, high-throughput, software defined, open networking technologies that redefines the economics of the future ready network. Get critical applications and services to users faster with highly scalable infrastructure that includes pre-integrated solutions, reference architectures and purpose-built appliances. Resources and Shopping HelpWe can assist you in your selection.